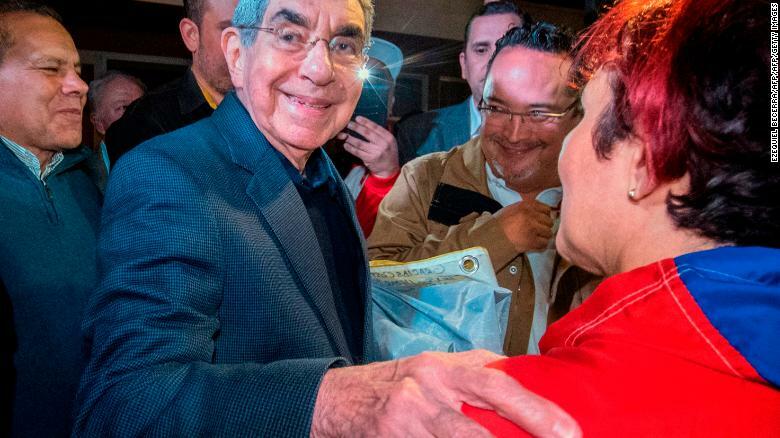 Óscar Arias, former Costa Rican president and winner of the Nobel Peace Prize, has been accused of inappropriate sexual conduct by two women. A source at the Costa Rica prosecutor’s office confirmed to CNN that a criminal complaint had been filed, accusing Arias of a sexual crime. Arias categorically denied the accusation in a statement. “I have never disrespected the wishes of any woman,” he said. Patricia Mora Castellanos, minister for women’s issues, said the woman who filed the complaint can count on the support of the National Women’s Institute, known as INAMU. The New York Times, which has obtained a copy of the criminal complaint, has named the woman as Alexandra Arce Von Herold, a psychiatrist and nuclear disarmament activist. She worked at the International Campaign to Abolish Nuclear Weapons (ICAN), a cause which Arias supported. CNN has not been able to independently verify the content of the complaint and is attempting to contact Arce Von Herold for comment. Arias served two terms as president of Costa Rica. Arce Von Herold told the New York Times that she was inspired to come forward by other women who have spoken out against other powerful men like comedian Bill Cosby and US gymnastics coach Larry Nassar. The second accusation was made by Emma Daly, a former journalist who is now communications director at the NGO Human Rights Watch. Daly told CNN that in 1990 Arias touched her inappropriately at an event in Managua, Nicaragua, where she was reporting on the swearing-in of Violeta Chamorro as President. CNN has not been able to independently verify Daly’s allegation. However Daly’s husband, who has known her since 1995, told CNN that she had mentioned the story to him several times in the past. Arias’ lawyer, Erick Ramos, declined to comment on Daly’s accusations and said that no formal complaint had been filed. In a Facebook post, former Costa Rican President Laura Chinchilla spoke out against violence against women but said Arias should be guaranteed the right of defense. On Wednesday, President Carlos Alvarado said that anyone who reports a crime should know that the appropriate processes will be followed, but Arias should also be guaranteed the right of defense. Arias, who was born in 1941, served two terms as president of Costa Rica: 1986-90 and 2006-10. In 1987 he became the first Central American ever to win the Nobel Peace Prize, for his work to guarantee peace in the region. Arias used his winnings to set up the Arias Foundation for Peace and Human Progress, promoting gun control and gender equality.